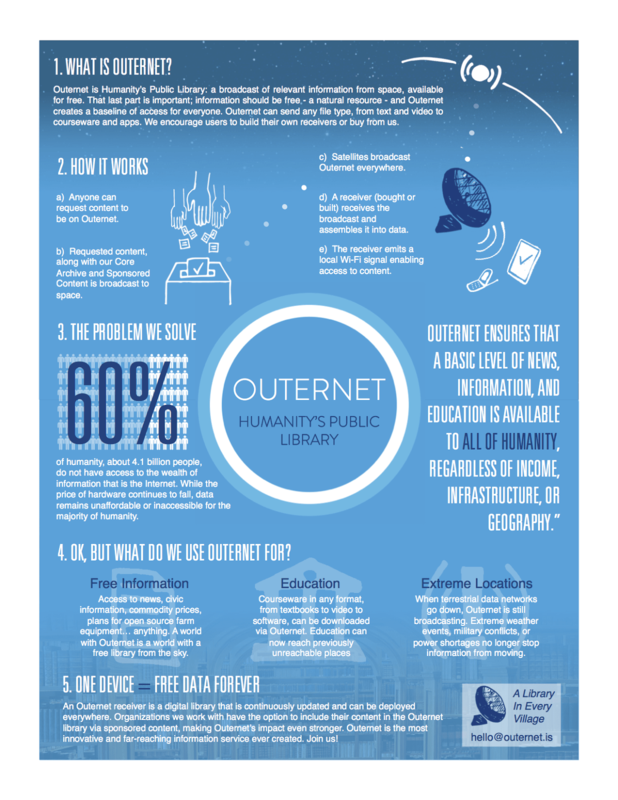 The Outernet Crew just release brief summary of the Humanity Public Library Project. Read more bellow. This entry was posted in Technology and tagged altruism, internet, rural broadband, rural internet, world change by TheGoodGoodGuy. Bookmark the permalink.